In the access industry, Genie is absolutely committed to product training. Genie is proud to be the first aerial work platform manufacturer in Australia to offer on-line training. The new e-learning program utilizes a combination of video, animation and narration to create an interactive learning environment. Each program is easy to follow and can be paced by the viewer to suit their own circumstances. The initial on-line training offerings from Genie include introductory electrical, hydraulic and machine inspection courses. All courses are available to registered customers and can be accessed 24/7 for the ultimate in convenience. This allows technicians to train at their own pace. 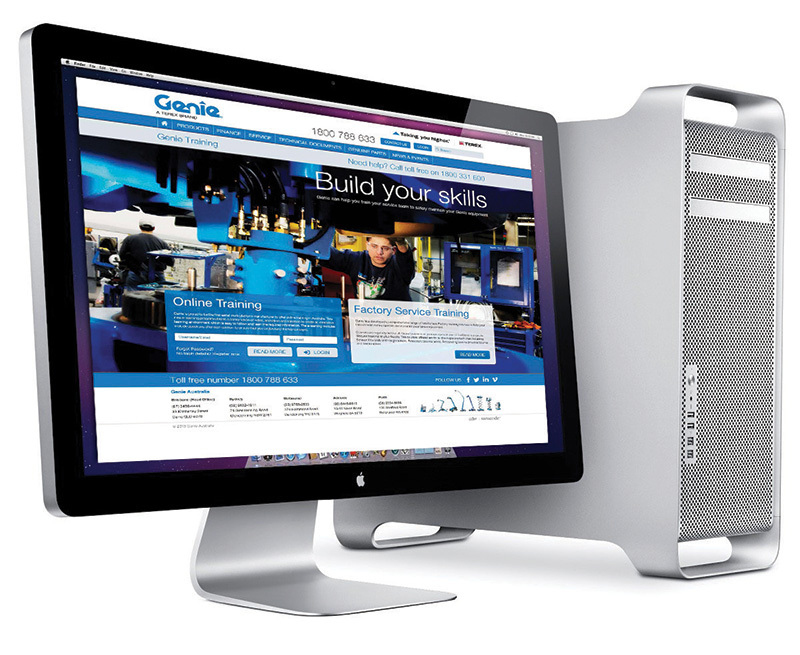 According to Reg Moss, National Service Manager at Genie, the new on-line service training delivers significant benefits and cost savings to Genie customers. “Our on-line training allows technicians in remote locations to undertake Genie specific training without having to travel away from their work location,” Reg Moss said. Following the successful launch of the three introductory training modules, Genie is preparing an additional 20 training topics to expand the program further. Technicians will be required to complete certain modules prior to attending face-to-face training. This ensures that Genie face-to-face training focuses on technical content, rather than going over basic knowledge. Call our Training team on 1800 331 660 to register.